Easter Sunday, haven’t been a good run all year, so decide to head south. 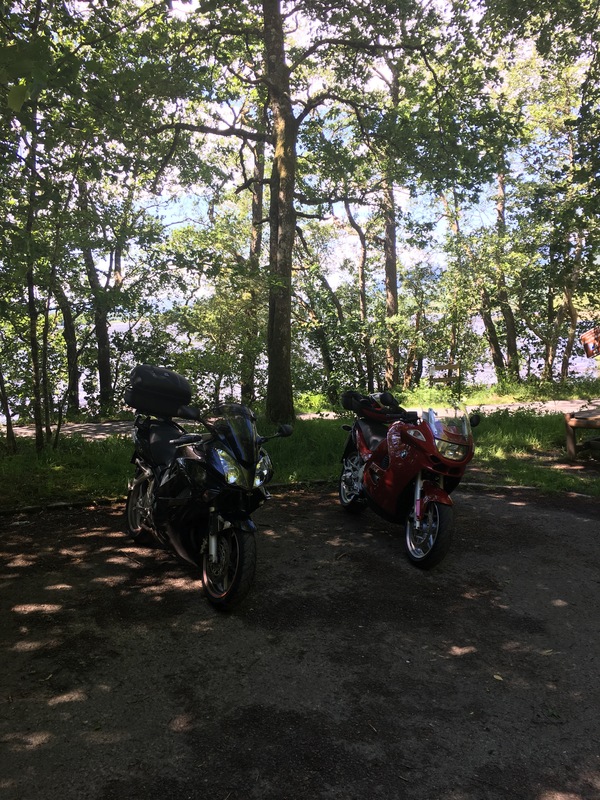 I haven’t ventured south much on the bike, except for a run down to Stranraer. Started from McDonalds at the Bellfield Interchange, (eh! had a coffee, honest) Got onto the A76 and followed it all the way to Dumfries, for a single road, it wasn’t too bad. had some corners and passed through some interesting places. Would have went to the see the Crawick Multiverse, but it was shut. So headed south of Dumfries to Caerlaverock Castle, a twin tower, 17th century medieval stronghold, surrounded by a moat. very nice and different to typical castles in Scotland. 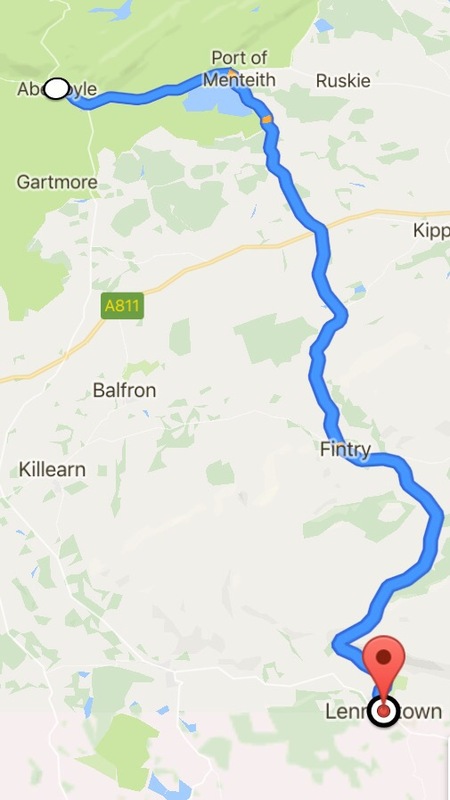 Aberfoyle is the start of the West Highland Way, but we headed south on a beautiful stretch of road that takes you through Fintry and down to Lennoxtown. The road is the B8034 and then onto the B822. It is a lovely twisty road through the Campsies. With many stopping places to enjoy your flask of coffee. It takes about 40 minutes and even if you do it in reverse both towns have nice places to grab something to eat at the end of your journey.